At Trowel Trades Supply, we’re constantly on the lookout for products that save time and money while improving the overall quality of a project. Today, we’re putting the spotlight on a product that unifies multiple components of a wall system into a single high-performing product. Boral, a world leading manufacturer of sustainable building products and construction materials, has developed Drain-N- Dry Lath™, which combines a reinforcing lath and rainscreen in one product. Drain-N-Dry™. This best-in- class rainscreen and superior lath product is the ultimate in moisture management. Drain-N-Dry Lath™ combines a reinforcing lath and a rainscreen that replaces the need for a secondary Water Resistive Barrier (WRB), enabling builders to address drainage, drying and moisture vapor control underneath stone and stucco. Extremely light and easy to handle, the product is available in 150 square-foot rolls that allow builders to cover large portions of a wall in a single step, reducing the likelihood of water infiltration through fastener penetrations in the WRB. 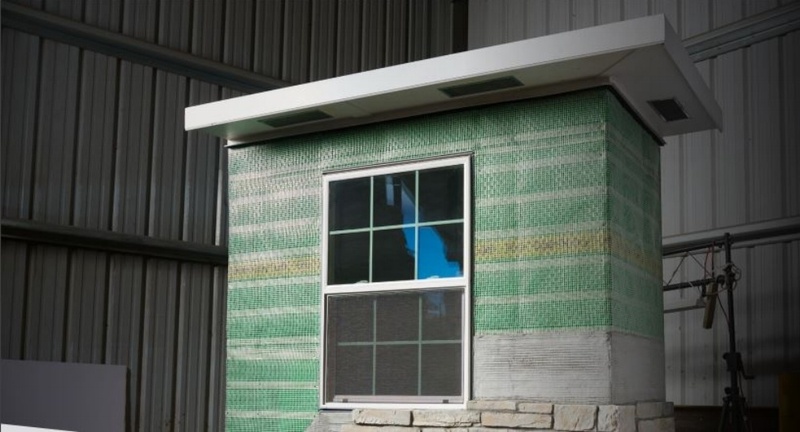 Additionally, its built-in rainscreen allows moisture to drain and dry, minimizing risk of mold, rot and potentially expensive structural damage. Boral’s Drain-N- Dry line incorporates useful accessories to make wall systems even more advanced. Topside Ventilation Trim: Used at the top of the Drain-N- Dry system, to allow air to circulate through the Drain-N- Dry™ cavity. Includes bug mesh already installed. Weepscreed Starter Strip: Installed at the bottom and allows any water to drain out. Minimize the risk of rot, mold, and potential expensive repairs by using Boral’sDrain-N-Dry™ on your next veneer project. For more product information, visit the links below or contact Trowel Trades Supply today.